Social media is a fun way to interact with your friends and family. But as much as you may like to put yourself out there, it can be easy to forget social media accounts are public. Cannabis job seekers are passionate about the industry, and can easily get excited about topics that matter to them. Be careful what you say. Don’t leave negative reviews or harsh criticism which contain offensive language. You never know when a few harsh words will come back to bite you. Remember anything you say online stays online… somewhere. Even if you delete it, reviews and posts sometimes stick around for months. But don’t go deactivating your profiles. In fact, you should probably be spending more time with them. Not being active on social sites can actually hurt your chances of being recognized and, ultimately, hired. 1. Offensive and criticizing behavior. Everything you put out on social media stays out there. Making potentially offensive comments or harsh criticisms against employers, causes, or local companies can come back to haunt you. 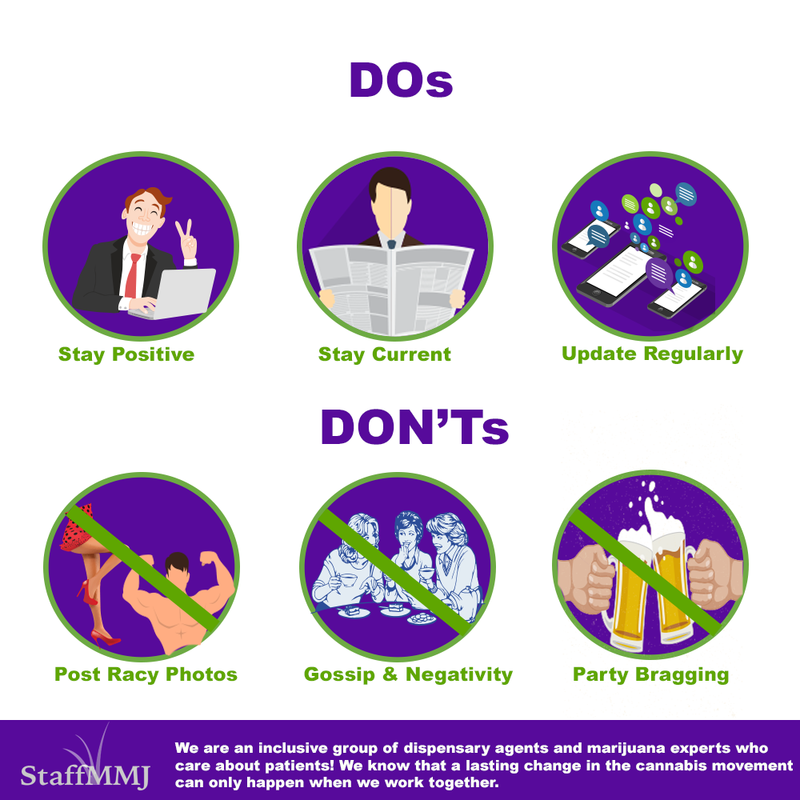 At Staff MMj, if we refer a cannabis job seeker to a dispensary, the dispensary searches our referral and the referral has left a negative review for a different dispensary– that candidate is not getting the job! The way you appear online says a lot about who you are as a candidate. 2. Neglect. Don’t start a social account and forget to update it. Keeping up with your accounts takes time, but you don’t have to update daily to show you’re active. Try to update each social account a few times a week. It looks better to prospective employers to stay active on two or three accounts than to have many lifeless, empty profiles. Even more importantly, engage with your followers! Answer their questions, and respond to their feedback. Don’t be timid, when it comes to engaging your audience. How you talk to your friends and family is a good indicator of how you will treat an employer’s customers. Nothing impresses a dispensary hiring manager more than superb communication skills. 3. Oooh La La. You may have ‘it’ but don’t flaunt it. If your photo looks more suited for a dating site than a professional environment, it might be time too racy for a medical marijuana environment. Respect for others is important to your employers. Even if the employer celebrates individuality by allowing employees to dress as they wish- it might not be appropriate for your audience as a whole. If you wouldn’t wear it to Grandma’s house, then don’t wear it in your profile picture. In a recent survey, 67% of hiring managers admitted to reacting negatively to candidates with ‘inappropriate’ photos within their profiles. 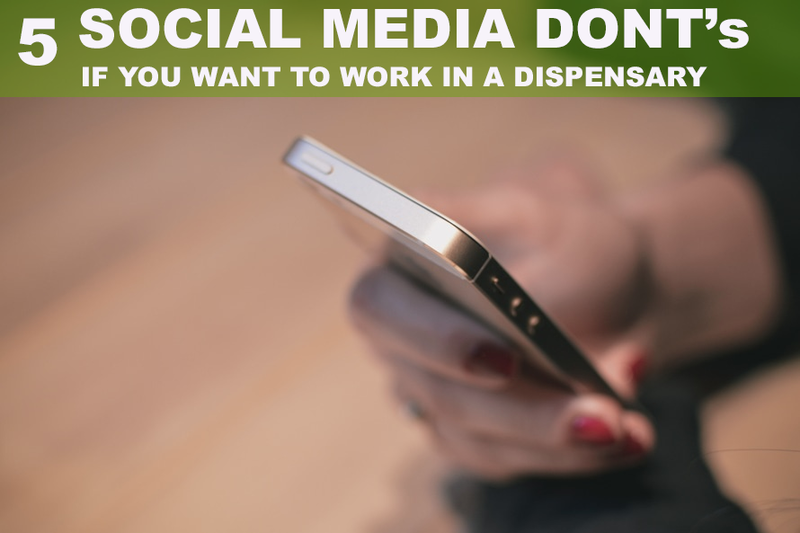 Yes, that includes Facebook, which many dispensaries are using to find more in-depth info on job applicants. 4. Negative attitude. A negative attitude is an automatic no to hiring managers. Try to keep posts positive by sharing hobbies and activities and be considerate to your friends. Even comments on friends, groups, or fan pages can show up with a simple search. Best to be positive all the time if you want to work with marijuana. You are working with medical marijuana patients, they will have bad attitudes, they will be hurting, and in need of your medical marijuana. A positive attitude is crucial to help heal. Marijuana dispensary managers and owners know this. Stay positive online and you will be on your way to success. 5. Drinking & Partying. When you share content publicly on social media, make sure it’s working to your advantage. Last night’s partying might have been fun, but it doesn’t belong on your timeline, especially if you’re job hunting. Just like photos, the content you share matters, too. Articles on binge-drinking parties and funny drug-related memes might get a few likes, but that type of content isn’t going to get you a job. Even marijuana-related content can cause your profile to be viewed in a harmful manner. A hiring manager probably doesn’t care about your biggest dab hit video. 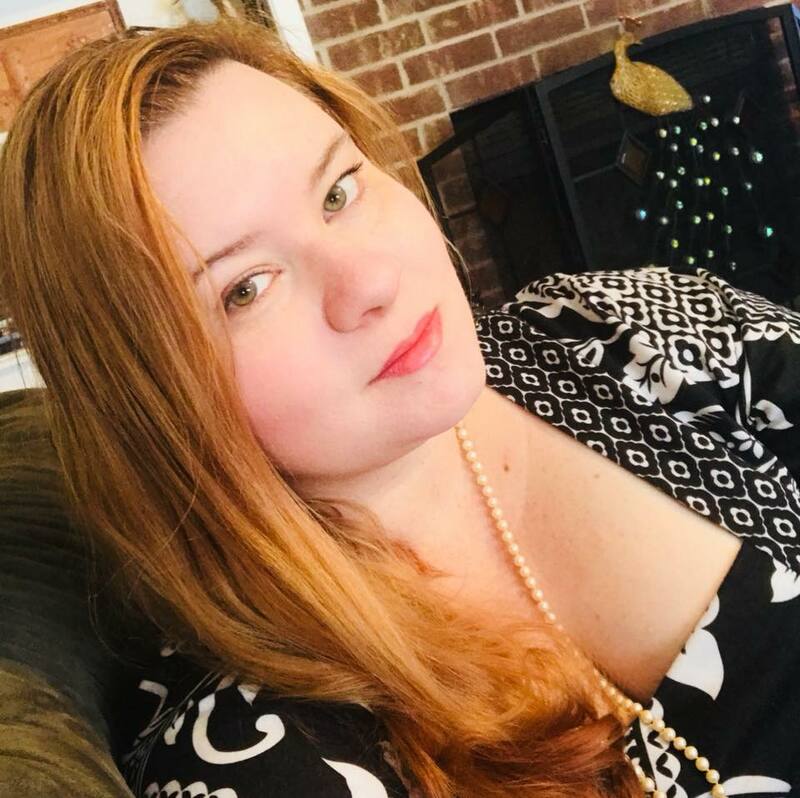 But topics like cannabis research, clinical trials, and scientific advancements in marijuana will show your willingness to stay current within the industry.